With the rapid development of information technology, more and more people prefer reading eBooks to traditional print books. EPUB is a popular eBook format that is able to change shape according to different devices you read it on, but the downside of it is that not all devices support reading .epub files. 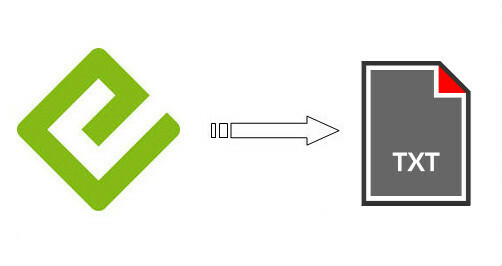 Therefore, sometimes we need to convert EPUB files to TXT format, the simplest format that can be opened by almost all devices. 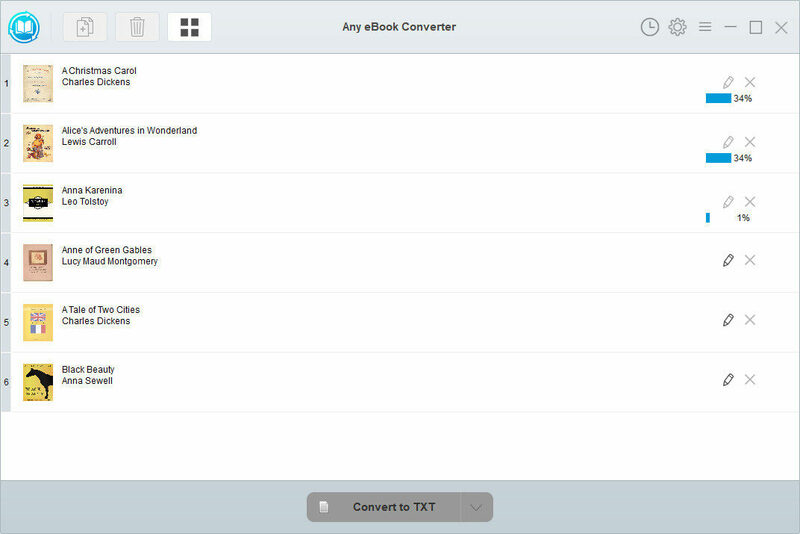 In this article, we are going to introduce the easiest way to convert EPUB to TXT format by applying the most popular EPUB to TXT converter – Any eBook Converter, a simple yet powerful eBook tool that is able to convert up to 24 input formats (including EPUB, PRC, HTMLZ, DOCX …) to DRM-free EPUB, TXT, MOBI, AZW3, KFX or PDF format. 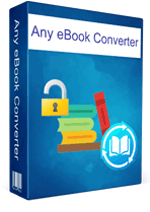 Any eBook Converter is a user-friendly eBook format converter which enables us to convert DRM or DRM-free EPUB files to TXT format in batch within three simple steps. Support the latest version of Windows 10. 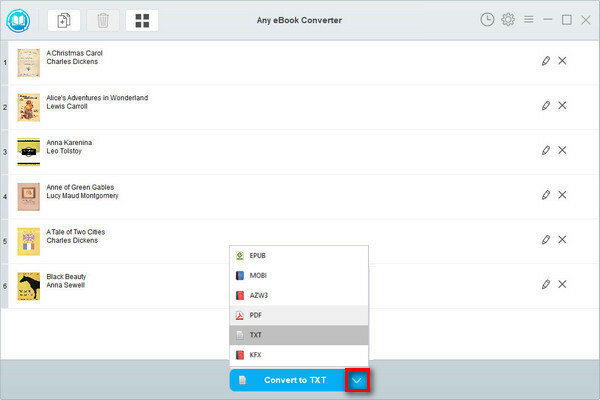 Below is a detailed demonstration of how to convert EPUB to TXT format with Any eBook Converter. Before we get started, please have the program installed correctly on your computer. 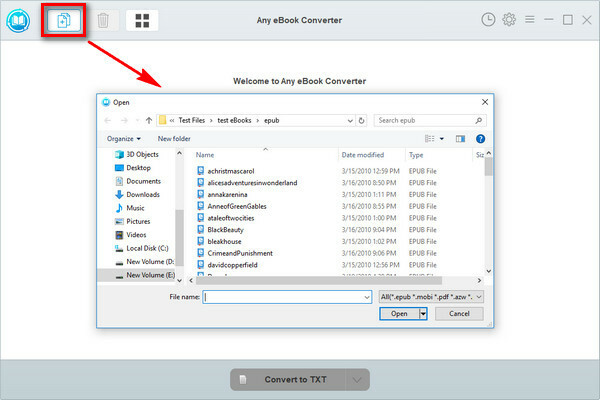 Click "Add eBook" button on the upper left and there will be a pop-up window allowing you to browse and upload the EPUB files that you want to convert to TXT format. Click “V” icon on the bottom and select “TXT” as the output format. By clicking the “Settings” button on the upper right, you can customize the output path for the converted books. Note: The program retains the original quality of all eBooks and keeps all metadata after conversion. And by clicking the "Edit" icon on the right, you can edit all the important and useful meta information by yourself, including title, author, publisher, etc. Click "Convert to TXT" button to start converting your EPUB books to TXT format. When the conversion is done, you can find the converted TXT files by clicking the “History” button on the upper right or directly going to the output folder you set in previous step. Note: The free trial version of Any eBook Converter enables us to convert one book at a time, you can unlock the amount limitation by purchasing the full version. Copyright © 2019 Any eBook Converter. All Rights Reserved.